Escape to our warm, serene retreat, where you can enjoy relaxing, rejuvenating spa treatments. 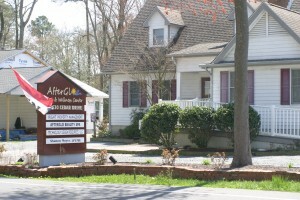 Afterglo day spa is located by Bethany Beach, Fenwick Island, Rehobeth Beach and Ocean View Delaware. We are located only 9 miles from Ocean City, MD.What makes us different? If you are looking for a premier full service day spa in the Bethany Beach area, conveniently tucked away from all the hustle, bustle, and traffic of downtown Bethany Beach. Here you will find a knowledgeable, professional staff, top of the line products and services that will transform you to a place of serenity. There is no better way to spend a relaxing day than indulging in our massage, facials, pedicures and body care. Our professional team has over 30 years of combined experience for each individual need.